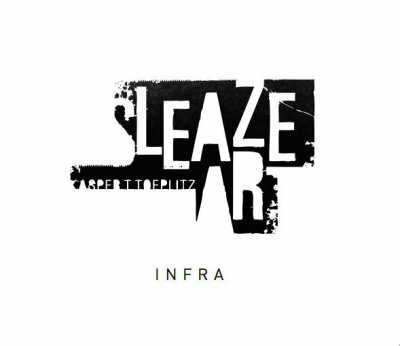 In Vital Weekly #995, Franz de Waard says : Sleaze Art is a quartet of bass players : Eryck Abecassis, Frederick Galiay, Jb Hanak and Kasper T. Toeplitz, the latter also being listed as the composer of the piece. […] Toeplitz is a man with a background in modern classical music but with penchant for all things quite loud. Loud and bass-heavy of course, as the bass is his primary instrument. […] The Sleaze Art release is causing serious damage to my speakers, because of the bassiness of the music […] . I am not sure which place that should be, but no doubt seeing and hearing this in concert would be the right place.